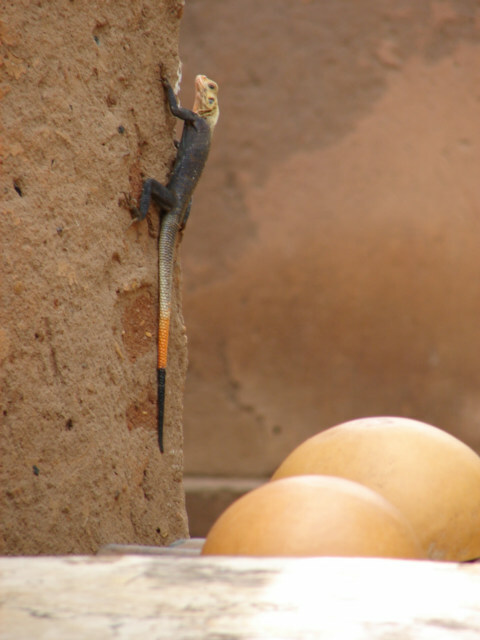 I took these photos of Lizards in Atakpame, Togo. This colorful one is a constant companion as I travel the country, bigger and easier to see, however very fast and will leave my territory quickly. 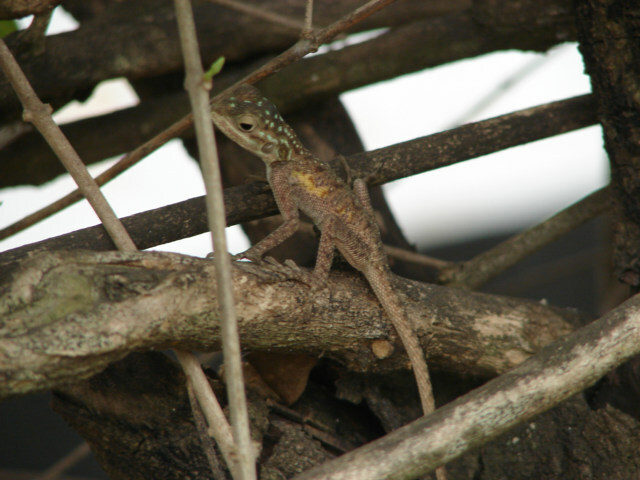 This is a little bug eater, more difficult to photograph and quick to hide, blends in easy with the tree limbs or wherever it sits. Fun to watch them eat pesky small insects. I was trying to catch a few to put in my room to eat them too small to see insects.